The winner of the 2018 Kate Mullin Teacher Award is Phoebe Stoneman (pictured right) of Wiluna Remote Community School. The presentation took place at the WATESOL AGM on 28th November, and pictured below are Phoebe on screen flanked by KMA Chairperson Ken Mullin (left) and Belinda Stewart of WATESOL. In order to improve student outcomes in language and literacy Phoebe has supported teachers to implement the Wiluna Literacy Strategy (WLS) and to implement EAL/D strategies across the curriculum. Phoebe provides feedback and supports teachers in their planning. She supports teachers the Two-Way Science and HASS program and plans and implements on-country learning. Phoebe started a transition to school program in 2013 to support pre-Kindergarten children to develop their school understandings, confidence and early language and literacy skills. She engaged and supported two Aboriginal EAs to work as part of a two-way teaching team in the K/PP classroom. In 2016 Phoebe led a school library renewal project with the aim of creating an engaging and comfortable library space, ensuring the texts available were high quality, and the students had access to texts from and portraying a range of cultures, including many telling Martu and other Indigenous stories. The library is now accessible to students at lunchtime and each class visits the library on a weekly basis therefore helping to encourage a love of reading across the school. In 2017 Phoebe facilitated weekly training with the Aboriginal Education Assistants at WRCS in Certificate III in Education Support. The professional learning specifically developed skills to work in the classroom setting and support the development of students’ language and literacy skills. She has secured funding and engaged consultants to develop contextually appropriate two-way language and literacy resources. She has also developed resources to support teachers EAL/D planning and the schools planning processes. In order to create links with Aboriginal families and the community Phoebe has organised and hosted family events for her K/PP class at the end of each term since 2012. These are well-attended and Phoebe now supports other teachers to celebrate and share students learning with families. Phoebe leads the organisation and running of many school led community events such as Harmony Day celebrations, NAIDOC week celebrations and community Christmas Parties. These are key events which improve student, family and community engagement and celebrate the language and culture of the local Martu community. She facilitated and supported Aboriginal staff and community members to organise a whole school NAIDOC week celebration where the school and community went out bush for the day. This empowered our Aboriginal staff and community members and has led to a series of other bush trips initiated by community members during NAIDOC week. Phoebe has developed a Martu Cultural Calendar through regular community workshops with Elders and family members. This Martu Cultural Calendar forms the centerpiece to the teaching and learning program at Wiluna RCS. However, teachers needed further support and resources to be able to more meaningfully apply this into their teaching and learning programs. Phoebe applied for and was awarded a substantial grant that enabled the school to employ filmmakers to create videos to model and support new teachers to the school the two-way science process and an introduction to remote life and EAL/D teaching. 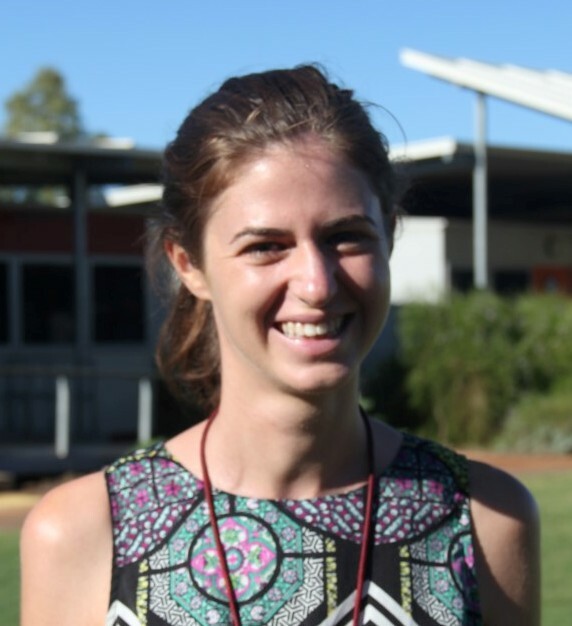 To ensure awareness of home language and culture Phoebe has developed a series of resources to support the development of her students’ awareness of the dialects Aboriginal English and Standard Australian English and Martu Wangka and English languages. Resources such as the Two-Way Mat Manners, Two-Way Environmental Print, Two-Way Plenary Sentence Cards, Standard Australian English and Martu English Speaker Posters are still being used across several classes at the school and have been shared at a network conference. She has worked with network schools sharing this knowledge and by running a moderation workshop on using the EAL/D Progress Map. Phoebe also supports new teachers at Wiluna RCS to begin to recognise when the students are speaking Aboriginal English and when they are speaking Standard Australian English. She supports teachers to plan and implement speaking activities with their students, transcribe students speaking and identify elements of AE and SAE. This ensures teachers are able to identify what SAE needs to be explicitly taught to the students and that students are being levelled correctly on the EAL/D Progress Map. Phoebe has worked at Wiluna RCS for seven years and has spent much of that time developing her relationships with students, families and the community. She cares deeply for the students and seeks to understand their community and she helps inspire similar sentiments with staff. She regularly engages in home visits and has developed relationships with and earned respect from families. She has organised and attended many community events such as on-Country learning experiences with the support of community, which has allowed opportunities for all students to show and share their cultural and linguistic knowledge and skills. She speaks with students in a respectful and clear manner and resolves conflicts in a restorative manner. She is aware of the cross-cultural challenges that can arise in relationship building and seeks advice when needed to ensure that the school is always seen to be culturally responsive. As part of the Wiluna school community, Phoebe has contributed to Wiluna RCS’s recognition in 2018 by the Premier of WA which has seen the school receive the award for Aboriginal Education this year.